We are seeking an experienced priest to work 0.4 as Vocations Development Officer. The appointed person will have gifts of discernment and she/he will be skilled in working with those who are exploring a vocation to licensed ministry. They will work closely with the DDO, Warden of Readers and the Mission and Ministry team. To lead the Mission & Ministry team’s aim of achieving a 50% increase in vocations to ordained and licensed ministries and reducing the average age of these candidates. This role requires an individual who is a self-starter who is able to take initiative and to work with support and appropriate accountability but not needing close supervision. Though the Diocese is committed to encouraging whole-life discipleship and the agenda set out in “Setting God’s People Free”, the primary focus of this role is to encourage vocations to licensed ministry. Encourage vocations, to both lay and ordained ministries, including organising events e.g. on the weekend of Vocations Sunday. Run a programme of events for those exploring vocation including leading approximately 6 ‘Exploring Ministry’ days each year. Meet with those exploring vocation for in depth one to one interviews. Support the team of voluntary Vocations Advisers in their work of initial discernment of vocation, prior to recommending candidates to the DDO, Warden of Readers or their parish priests, to explore ministry in a local ministry team. Collaborate with the Diocesan Youth Mission Development Officer, the Young Vocations Champion and national Young Vocations Officer, to establish a strategy for increasing young vocations, and implementation of this strategy. Explore, develop and oversee, as appropriate, new models of ministry development such as vocational communities. Liaise with South West Ministry Training Course (SWMTC), St Mellitus College and other providers to make available a range of appropriate study and training for those exploring a vocation into lay or ordained ministries. Provide appropriate resources to support Vocations Sunday. The ideal candidate will need to demonstrate how their own work and work of the Mission and Ministry team support the wider objectives of the diocese..Know and understand the process and pathways available to taking up vocational ministry. Ability to adapt ways of working to facilitate cooperation within Mission & Ministry team and the team of volunteer Vocations Advisers. 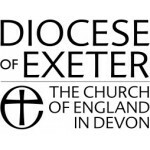 The Diocesan offices are situated close to the Cathedral in the centre of Exeter.